Comfort and convenience are the hallmarks of Foot & Ankle Associates’s office operations. 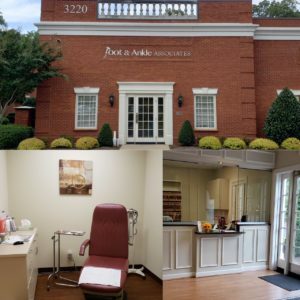 To ensure your convenience below is the information you need about our hours, location, appointment scheduling, insurance acceptance and billing. We treat patients the way that we ourselves would want to be treated. Your office visits can be worked around your busy schedule. You won’t be kept waiting long in our reception area because we try our best to keep appointments running on schedule. We also offer same-day appointments for emergencies. For your convenience, you can even schedule an appointment on-line by clicking here.